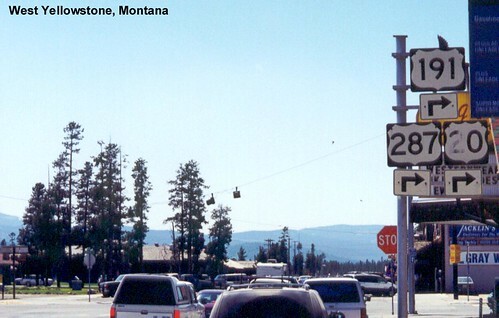 Technically US 20 does not exist in Yellowstone National Park, it is a discontinuous route with an eastern section and a western section. 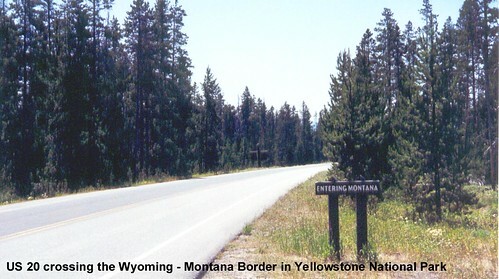 Of course we chose a route through the park anyway, and this is the state line marker on the road heading west toward West Yellowstone. 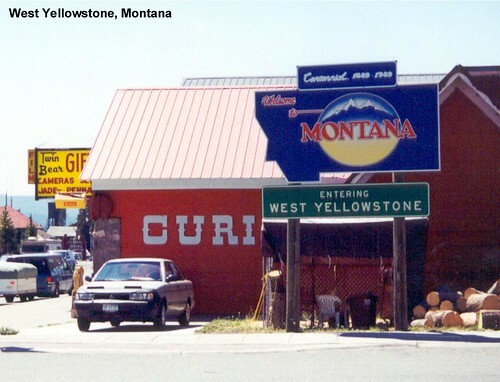 The actual Montana welcome sign on US 20 is in West Yellowstone. The trip through Montana on US 20 is short but scenic.